Associate Professor, University of Padua (IT), Mauro Migliardi got his PhD in Computer Engineering in 1995. He was a Research Associate and Assistant Professor at the University of Genoa and Research Associate at Emory University as Co-PI in the HARNESS heterogeneous metacomputing project. Currently he is Associate Professor at the University of Padua and Adjunct Professor at the University of Genoa. He is also a member of the Scientific Committee of the Center for Computing Platforms Engineering, of the Scientific Board of the Circle Garage s.r.l. spin-off and he has won the 2013 Canada-Italy Innovation Reward. His main research interest is distributed systems engineering in general; recently he focused on mobile systems, human memory support services, energy awareness and green security. He has tutored more than 100 among Bachelor, Master and PhD students at the Universities of Genoa, Padua and Emory, and he has authored or co-authored more than 100 scientific papers published in national and international, peer reviewed conferences, books and journals. Assistant Professor, University of Genoa (IT). Alessio Merlo got his PhD in Computer Science in 2010 at University of Genoa and a postdoc at Computer Engineering Department at DIST, University of Genoa. He served as an Assistant Professor at E-Campus University from March 2011 to August 2014. 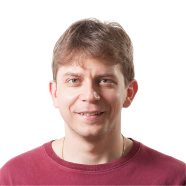 From September 2014, he is serving as an Assistant Professor at DIBRIS – University of Genoa. His research interests focuses on Mobile and distributed security with particular focus on Android Security, Bring Your Own Device and Trusted Execution Environments. He was author and co-author of more than 50 scientific papers published in international journal, books and peer-reviewed conferences. He has tutored more than 100 Bachelor and Master students both at E-Campus University and the University of Genoa. Assistant professor of Computer Science at the University of Jordan (JO), Sherenaz Al-Haj Baddar earned her PhD degree in Computer Science from Kent State University in Ohio (USA) in 2009. Since May 2009, she became an Assistant Professor of computer science at KASIT- The University of Jordan. In 2014, she joined the Centro Interuniversitario di ricerca sull'Ingegneria delle Piattaforme Informatiche – CIPI laboratory at the University of Genoa, Italy, to pursue a post-doctoral study in the area of anomaly detection in wireless networks. She co-authored the book entitled “Designing Sorting Networks: A New Paradigm” with Kenneth E. Batcher on novel strategies for designing faster sorting networks. 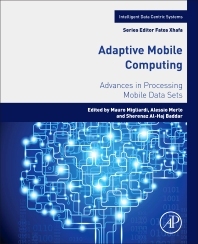 Dr. Al-Haj Baddar research interests span the areas of designing efficient sorting networks, as well as parallel and distributed computing. She has tutored more than 100 Bachelor and Master students at the University of Jordan.